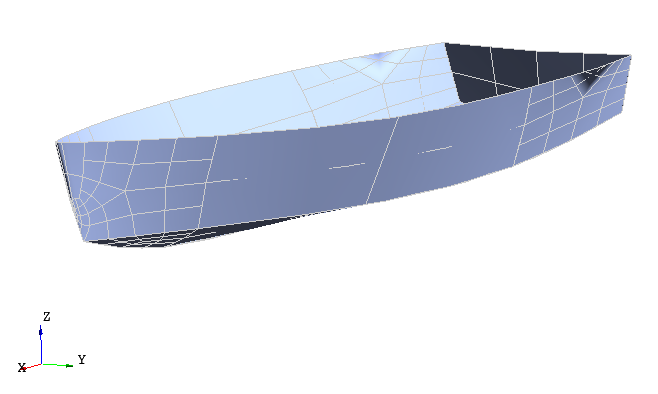 When preparing geometry for numerical simulations, it is often required to mark individual surfaces in the model. These surfaces can then be used e.g. 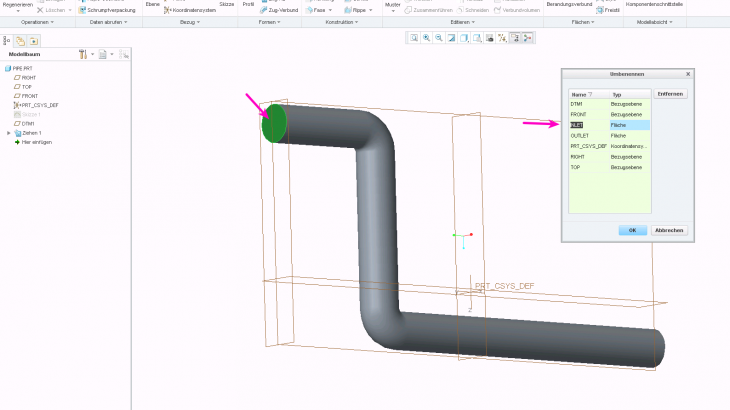 as an inlet or forces and pressures can be applied in a structural simulation. The STEP format supports named entities. 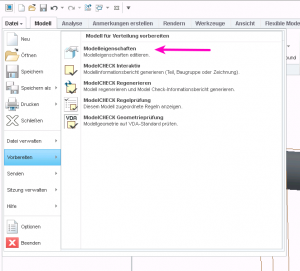 The question is: how to set the names in the CAD program? 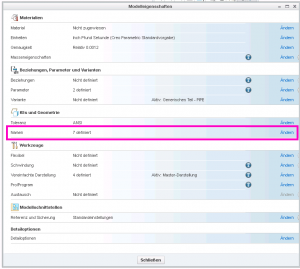 And how to achieve that they are actually stored in the STEP file? 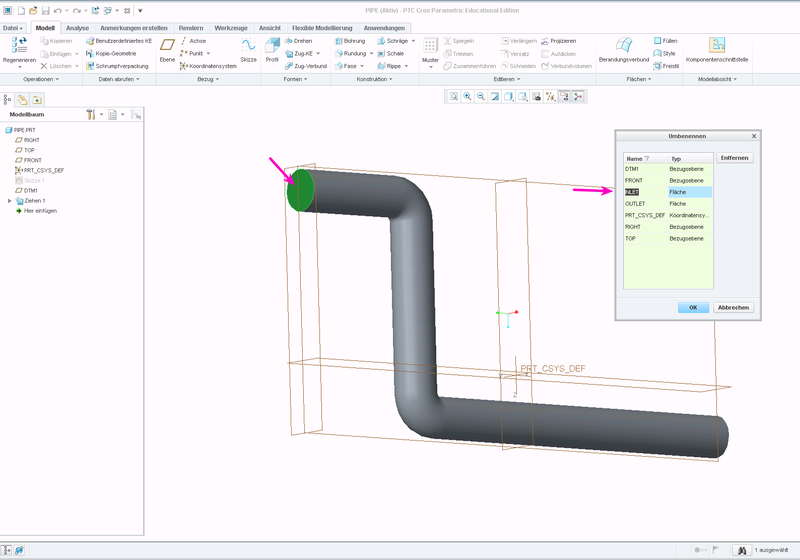 In the following, these questions are answered for the software PTC Creo. 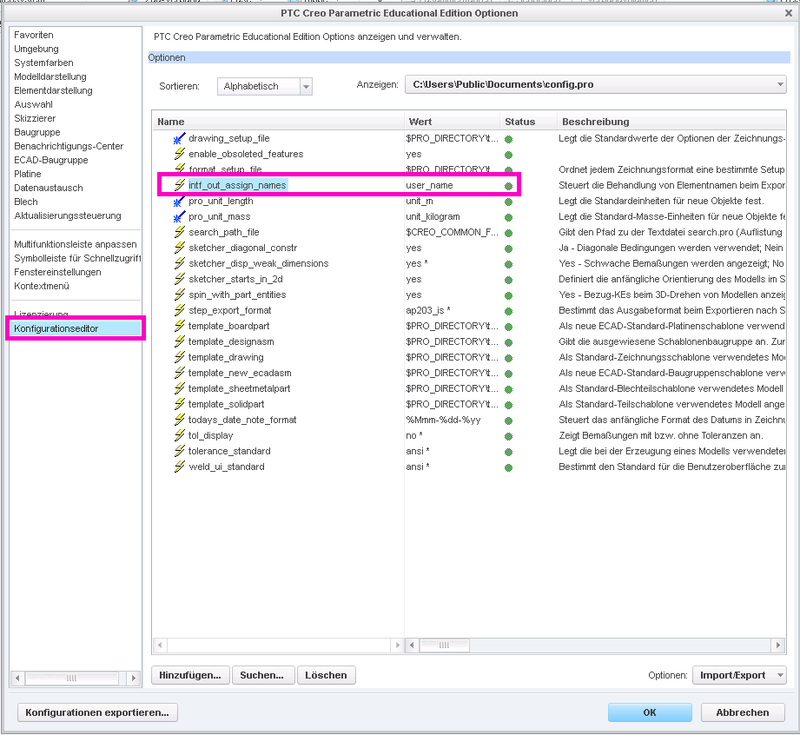 If export a STP file with the default settings, the names will not be stored in the file. You need to change the export setup for them to be kept. Open the settings dialog through “File” > “Options”. Then go to “Configuration Editor”. 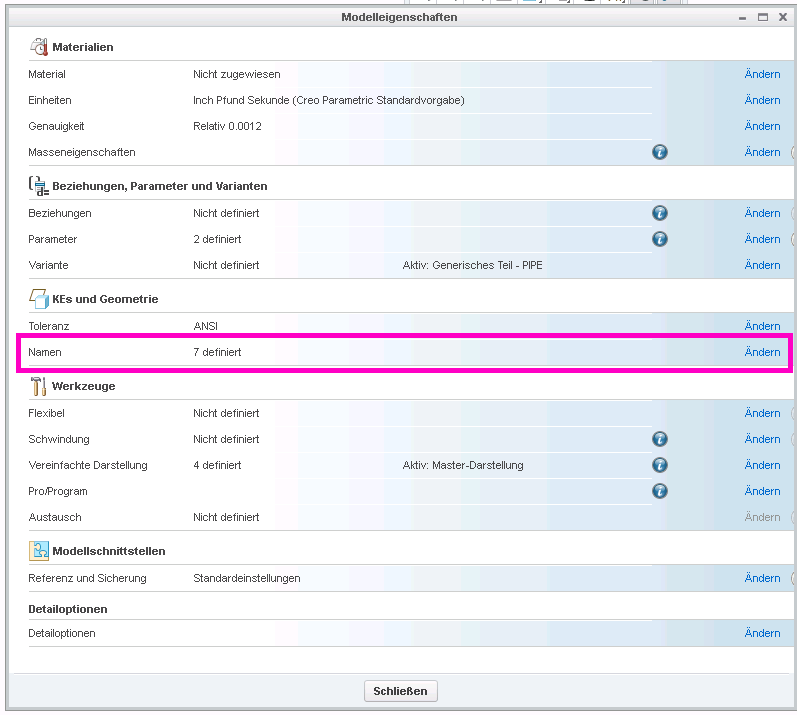 Here, you need to add the option “intf_out_assign_names” and set it to “user_name”. 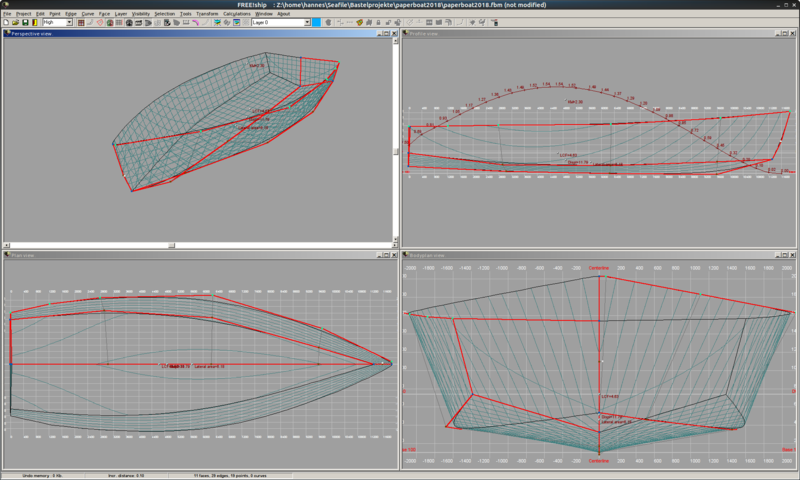 FreeShip software is a convenient tool for designing hulls. The capabilities of FreeShip are essentially limited to the design of the fuselage exterior. For everything else, a real CAD system is required. There is an IGES export function for the transfer. There is also a successor: DelftShip. The IGES export function has been removed from the free version of DelftShip and is only available in the commercial version. This is not available to me, so I cannot test it. 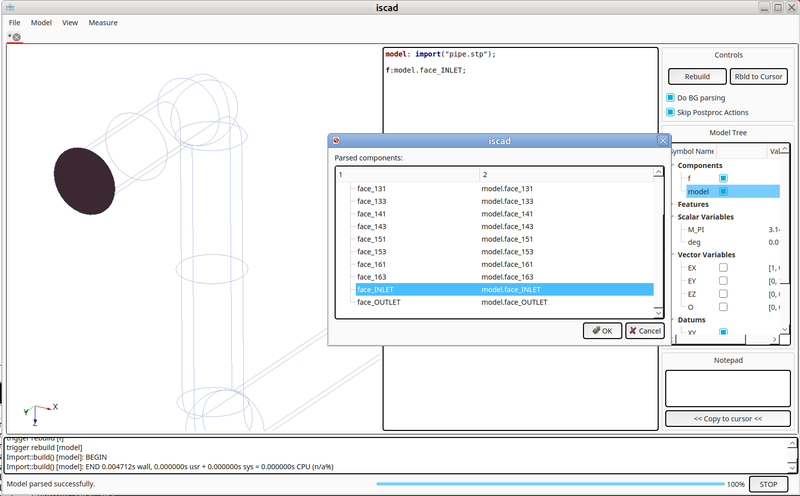 I would like to use the geometry in our tool ISCAD. It is based on OpenCASCADE. The export to an IGES file is unspectacular and 40 individual faces are created. Report : 40 unknown entities. Total number of loaded entities 41. Nothing is displayed. Although it is reported that an import works with earlier versions (https://forum.freecadweb.org/viewtopic.php?t=1670), the import does not work with the current OCC version, nor with different older versions of Salome (and OpenCASCADE). On the other hand, the import works e.g. in the commercial CAD software Creo. Finally, a study shows that the file exported by FreeShip contains only entities of type 128 (spline surface). In addition, there is a single color definition at the beginning. At the end of the parameter block of a 128 surface (see e.g. https://wiki.eclipse.org/IGES_file_Specification#Rational_B-Spline_Surface_.28Type_128.29) are the start and end parameters (min/max U and V values) of the surface. These entries are omitted by FreeShip and for OpenCASCADE this is an error.